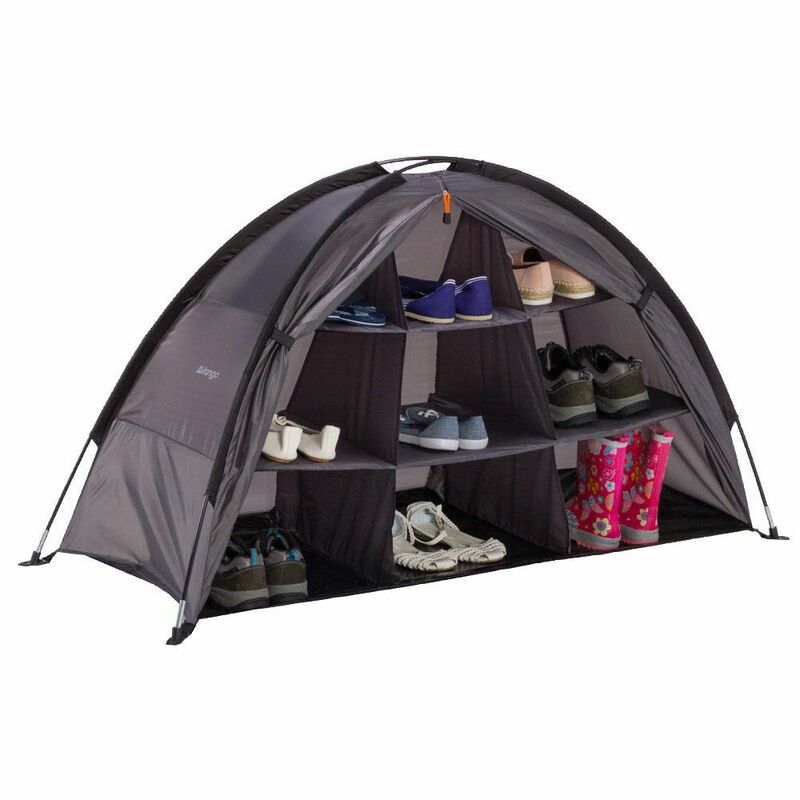 This super compact and lightweight awning storage unit is perfect for keeping clothes and camping kit organised in a drive-away awning. The Vango Compact Awning Storage Unit Organiser is ideal for stowing in a VW Bus as it packs down into a compact handled carry bag that is slightly oversized to make it easier to pack away. This handy nylon storage organiser takes just a couple of minutes to put up or take down and creates a 3 shelve unit with 9 cubby holes to ensure you know exactly where everything from muddy shoes, to toys and books are while still keeping your living area free and clear.